Can you make the skins so they look like the old NES games like The legend of Zelda, Metroid and all dat crap oh also can you add wiimote compatibility when the next update come plz. 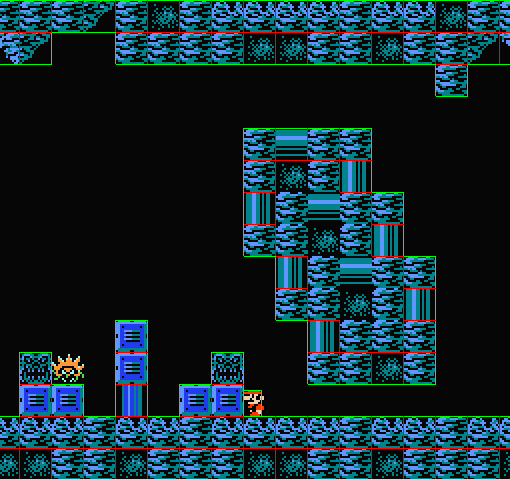 I always assumed NES/SNES games did collisions with static elements by having a giant array of tile values (basically, is this a wall/floor, and what kind?) based on position. That way, static elements have no per-frame cost, and non-static elements only need to check the nearby tiles. Of course, it won’t work if you want to eventually have levels that are not tile-based. So, is this going to be an add-on to the crossover series? I’ve got to say, though, you guys do amazing things! I love all of the hard work you guys put into this! Good stuff, Jay! Always interesting to see your behind the scenes work. Perhaps I’ve been out of the loop but I didn’t realize you were creating an inverse of the Mario crossover type game perhaps? Or are you just fiddling around in general?